Facilitators of Transformation are developed. Transformation is about the “Why” of Being. of the action of being Transformed. The GBA Facilitator Development Program is an opportunity for high level purpose and meaning. The program is developed through four phases over a period of 7 months. The four major phases include extensive Knowledge and Experience of Transformation through all the GBA core module content. Moving through these phases in alignment with the focus for each phase are personal practices and exercises for inner development. Between each phase the developing Facilitator has the opportunity to practice and present elements of the GBA FDP Program in their Personal and Professional lives. Please note that the wisdom and learning in Phases 1 and 2 were previously taught in three shorter modules. Transformation is an emerging Reality of Consciousness where the individual experiences self as Wholeness. Where the future emerges as a co-creative act between an Individual and the Whole. Pure Consciousness shines through the individual human consciousness in order to “Call Forth” thought forms and experiences into action. These thoughts translated into actualisation, into Matter, are required to be in alignment with the Highest Good for Humanity in the present time. Thus the purpose of Facilitating Transformation is the “Calling Forth” of a future of “Wholeness Consciousness”. Transformation is not possible within any possible Current Paradigm. Facilitation of Transformation requires transferred energy beyond words. This is achieved through the actualisation of inspired Knowing within the developing Facilitator and through profound knowledge and experience of the skilled communication required to engender the ability to deliver Transformation Programs. Throughout the GBA Facilitator Development Program™ (FDP) the knowledge and experience of Transformation is delivered from a space of Mind, Heart and Spirit – beyond words. No indication of pride, Ego-Centric Reality, may enter in. Transformation within Groups, Organisations, Communities, is not about performance, mind-sets and behaviour, it is about the “Why”, which is deeply embedded in all human endeavour. Transformation is about an ancient memory long forgotten. It is about the attraction of individuals to form specific groups. This opportunity of group as Wholeness and yet separate from other groups arouses the possibility of Greater Wholeness. Organisations, Companies, Communities, Societies, Nations begin to demonstrate this. The key is a Creative Response towards each other, a Transformed Response towards each other. No-one achieves Greatness without Being of Service. Service is the Essence of Greatness. give some talent or ability in the Service of others. we contribute in some way to others. Through Service, we emerge Greatness in others. The Essence of the GBA Facilitator Development Program™ is that it holds all the knowledge and experience to call forth into form the Truth of Consciousness. It offers participants the opportunity to experience that Conscious Evolution Transforms Life. Conscious Evolution assists the individual and the Human Family to find Freedom, Peace, Happiness and Joy. Transformation is the key ingredient for shaping the future. Past trends in more of the same but better, are the most common focus in the discussion of change. However, there is another kind of change that stops trends in their tracks, and creates whole new trends. A Paradigm that transforms is a shift into a New Paradigm, a new set of rules, a new way of Being. When Paradigms transform for individuals, the Whole can transform. A Facilitator of Transformation is someone whose Personality and Soul purpose is aligned. We call this the mergence of the Ego Centric reality with the Soul Centric reality. The individual Facilitator is a living demonstration of Service. Within the GBA FDP program there are two parts, Personal Development and Professional Development. The coin is never valid in the market place unless there is an image on both sides. In order for Facilitators to live this level of Purpose and Meaning, Gratitude needs to be present at all times. Gratitude for skills achieved and talents used, Gratitude for the journey that has brought Personal and Professional development to such a place of maturity. When Gratitude is present the Individual Facilitator becomes a Fully Conscious Witness to all the events in regard to his/her Creative Response to the moment by moment passage of life. The expression of Gratitude is important for it opens the door to further giving. True Servant Leadership embodies Gratitude. When Gratitude is not expressed the supply of Creative Energy is diminished and Service becomes a need, rather than a State of Being. Service is a State of “Being Giving”. It is a limitless state of being able to supply the Energy of Transformation to our own and others’ needs, perfectly in the moment. GBA Facilitators are custodians of a Knowledge. When this Knowledge is used in Service, given freely, then it fits the Whole. Service is a form of manifestation of the whole and not just for self. We know as we fulfil our Custodial Purpose we fulfil certain natural laws. A Facilitator of Transformation aims to manifest opportunities which have Meaning and Purpose in alignment with present wisdom, and at the same time being open to the beauty, harmony and order in each moment. The purpose of the GBA Facilitator Development Program is to develop each Facilitator to reach their Highest Personal and Professional Potential by becoming Masterful, Heartfelt, Spontaneous, Authentic and Creative Facilitators of Transformation. To build Transformation Facilitation Capabilities within the Worldwide Human Family. This is achieved by developing a team of dynamic Facilitators of Transformation with a Purposeful Presence and Energy, aligned with the goals of the Organisations, Institutions, Communities, and all others whom they serve. To develop Facilitators of Transformation who understand the importance of Transformation within their clients and the need to serve their Cultural Change—Cultural Transformation Objectives. To develop Facilitators able to deliver the GBA Foundation Program within their clients and other areas of human need, in order to create, maintain and sustain and further develop the ongoing Conscious Evolution of humanity. To develop competency in GBA module session plans and full seminar design. To demonstrate Personal and Profession Mastery in the Knowledge and Skills required to deliver the GBA Foundation Program in any given situation. Acquire coaching and counselling skills that support the mentoring and individual development of participants attending the GBA Foundation Program. Own replicable consistency of the full content knowledge of the GBA Foundation Program. Becoming is not a maturity of that which is termed the intellect. to become an unlimited thinking process. The GBA FDP Phase 1 begins as a Foundation for “The Journey into Truth” in regard to all that is required to become a GBA Facilitator of Transformation. Participants are introduced to a set of Fundamental Principles of Transformation in order to assist their own Personal Development. They are also given Fundamental principles for pioneering the new Paradigm of Transformation in the world. In GBA FDP Phase 1 the Facilitator journey begins with the participant’s internal development for holding the Truth of Facilitating Transformation. Practical experiences, understanding, and knowledge of the GBA materials are explored. These eventually become the manuscripts for delivering the GBA Foundation Program modules. Registered GBA FDP participants receive a complete list of the contents of each phase of the program once they have registered. Phase 1 of the GBA FDP develops the newly enrolled Facilitator to become accountable for Human Transformation. The objectives and expectations of becoming a GBA Facilitator of Transformation are explored. Facilitators study Standards for Operating-Integrity and how to gain and give maximum value for their individual contribution to the course. They begin their study of the GBA modules and session plans and other specialised materials used in the GBA Foundation Program. In all there are 25 sections of knowledge and experience covered in this phase of the GBA FDP program. GBA FDP participants have the opportunity to experience and study several session plans by mastering the content of each module in terms of energy flow and probable participant response to each section. Teaching is given on how to hold the Field and Essence of each module. At the end of GBA FDP Phase 1 participants are given the material to be able to study and practice at home and during the break before GBA FDP Phase 2. The GBA Facilitator Development Program Phase 1 into 2 integrates and evolves the Foundation energy of GBA FDP Phase 1 into higher resonance and expansion, in relation to the Truth of Conscious Transformation. gradually to reveal the face of the Omnipresent Transcendent Power within. The GBA FDP Phase 1 into 2 Program builds on all the knowledge and experience of the participant’s Personal and Professional development gained in GBA FDP Phase 1. Previously taught as a discrete phase and now integrated into Phases 1 and 2, the program takes a far greater dive into the commencement of truly holding the Field of Transformation. Participants are given the opportunity to explore and understand many further subtleties into the relationship between the GBA facilitation modules and the States of Human Consciousness. In addition participants begin to sense and pick up osmotically the energy required to become a Teacher of the Truth of Conscious Evolution through Transformation. Facilitators who have successfully completed phase 1 of the GBA FDP Program are given a complete list of the content to be studied in this phase. There are 15 new major areas of study and related skills to be acquired. Some examples of items covered are Advanced Communication Skills, how to stay focussed when delivering GBA modules and exploring the Truth of Perception. GBA has long acknowledged the importance of The Barrett Hierarchy of Values as shown within the Barrett Seven Levels of Consciousness. GBA uses a variety of BVC tools within seminars and client studies. It is felt necessary in the GBA FDP program to show how the BVC tools can be used as an instrument for Transformation in relation to the GBA core modules. There are very few men today who are disciplined to comprehend the totally integrating significance of the 99 per cent invisible activity which is coalescing to reshape our future. There are approximately no warnings being given to society regarding the great changes ahead. There is only the ominous general apprehension that man may be about to annihilate himself. To the few who are disciplined to deal with the invisibly integrating trends it is increasingly readable in the trends that man is about to become almost 100 per cent successful as an occupant of the Universe. 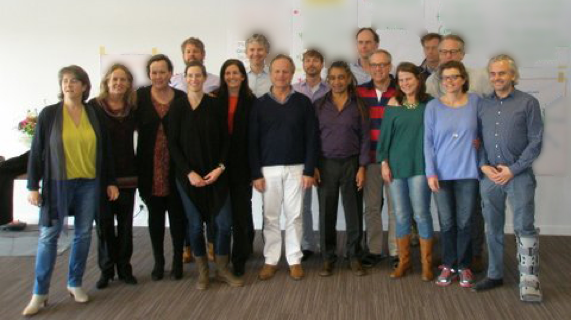 GBA Facilitator Development Program Phase 2TM (GBA FDP Phase 2) crosses a bridge. A great embedding takes place in order to finally comprehend the true nature of the Strategic Personality, the Ego Centric Reality. What emerges is increased qualitative and quantitative creativity in the acquisition of Transformation knowledge, the experience of Transformation knowledge, and the ability to deliver the Transformation knowledge. GBA FDP Phase 2 removes lower levels of resistance and conflict, lower levels of judgement, which emerge when the Strategic Personality is struggling to let go, moving through the fear and the risk of being the holder of a new field, the New Paradigm of Consciousness Evolution. As GBA FDP Phase 2 progresses the Soul Centric Reality comes into its strength. Facilitators experience increased energy, increased empathy for self and others, heartfelt love and compassion for self and others and improved ease and lack of stress in communication interchanges. As the two final pieces of the GBA Knowledge come powerfully together there is an in- depth Mastery of this part of the work. The ultimate payoff for hanging on to fear, hanging on to the Strategic Personality, hanging on to survival, is understood and owned. In becoming a Facilitator, “Becoming” is not a maturity of that which is termed the intellect. Quite the reverse. It is the innocence of the intellect that allows Becoming to become an unlimited thinking process. Facilitators commence to become centred in a place of Fearlessness. They are enabled to embrace living as a New Paradigm of Consciousness. Phase 2 of the GBA FDP brings all the GBA core modules of the Foundation Program together. Facilitators master the GBA modules from both a Personal and Professional perspective. Facilitators also continue to explore inner and outer knowledge in relation to Conscious Evolution. A major focus for this phase of the GBA FDP is full comprehension of the “below the line behaviour” and how to deliver material to erase these fear based behaviours. There are 15 further areas of study and skill acquisition in this phase of the GBA FDP. adds negativity to the world. adds Love and Light and Life to the world. Interpretations are what stand between you and the clarity of perception that you will need to do the work that lies ahead. You must release them with your thoughts, with your dreams, with your hopes and with your fears. In GBA FDP Phase 2, Facilitators gained the knowledge and experience of holding teacher / learner as one individual identity and also as a collective identity. Facilitators grow and emerge into the Greatness of this capacity when they truly accept that they are worthy to own all the learning and practical skills that has manifested within them over the previous three phases. By now Facilitators will have begun to own professional skills which will enable them to serve and make a difference in their chosen field of endeavour. Phase 3 claims “Who AM I?” “Who AM I as my Personal Self?” “Who AM I as my Professional self?” Living within this condition of self and Self unfolds the Individual Essence of the Facilitator. This movement from living in an Ego-Centric Reality towards a Self-Centric Reality is a powerful Rite of Passage. Individuals are required to be willing to let go of a language based understanding of Reality. The movement is to embrace the language of the Heart, the language of Feeling, the language of Knowing and Being, the language of the Essence of Transformation. The Knowledge, Experience and Skills within the GBA FDP Phase 3 Program allows the individual Facilitator to leap naked out of the Strategic Personality into the Promise of Infinitude. Facilitators are required to let go the assurance of The Time – Space Reality. 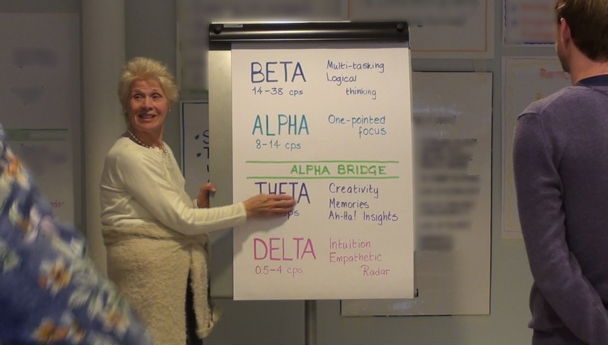 The GBA Facilitator Development Program Phase 3 holds the energy of a Great Leap into all the values, knowledge and experience held within the three Higher States of Consciousness. Facilitators explore and learn how to hold the Essence of these three Higher States from an integrated Soul Centric and Ego Centric Reality. This phase of the GBA FDP Program pulls together the Seven States to acknowledging the Truth of Separateness and embeds the Primary Focus of the “Energy Field” to experience and hold the “Essence of Transformation”. Transformation resonates far beyond the surface level of words, facts and concepts. It is the energy that the soul with silent voice cries out for. Transformation transcends time and space. Transformation is a moment by moment experience where the Soul remembers, the Mind cognises, and – “the and within the and” – co-creates with Infinite Mind, awakening the possibility of emergence. Transformation is the Journey of Discovery. The living field of all things potential and nothing material. In that moment the individual spirit being human connects with the “Great Mind” and this co-creation enables the individual Facilitator to truly serve the whole. This is the nature of the True Creative Act where the individual Facilitator becomes the key to emerge the Future into Form. The list of content studied in Phase 4, enables the Facilitator of Transformation to embrace and live all the Principles explained in the previous paragraphs. Specifically Facilitators are taken through all the Operating Principles for truly mastering the two sides of Transformation. Like a coin there needs to be an image on both sides for it to be valid in the Market Place. The coin of Perception brings into alignment the Knowledge of Transformation and Silence. There are 19 major sub-sections to study and experience in this phase of the GBA FDP Program. In addition this Phase prepares Facilitators for the journey into Advanced Personal Mastery. Facilitators of Transformation are called to create a new world. Transformation reorganises context. It removes everything that is foreign to life. Transformation does not impose conditions on people, it removes fear-rooted images and illusions that have, throughout history, obscured our perception of the Truth of Reality. Insight, Knowingness, Spiritual empowerment enters the Consciousness of anyone who makes an opening for Insight. As individuals welcome in Spiritual knowing, perception begins to transform into less distortion of the perception of reality. Complete: Having all of its parts or elements entire, full; whole, finished, ended, concluded; without defect; to bring to and end (Finish); to make perfect; to accomplish (a vow 1680). Complete. Even though the definition contains finished, ended and concluded, Complete is not the closing of a doorway. It is the transition through a doorway to a whole new phase of life. The GBA FDP Development ProgramTM may be coming to a State of Conclusion, however this State opens up grand new beginnings. Throughout history there has been a reluctance to teach certain knowledge, knowledge that is pertinent to the Transformation of the Human Condition. Knowledge which can transform the unified mind-set of humanity from one condition to another runs the risk of being misinterpreted from the old conditioned mind-set. There is a choice, a crossroad, where a Facilitator of Transformation is able to educate people to what Transformation knowledge is. Phase 4 of the GBA FDP Program places the recently developed Facilitator on the threshold of the new mind-set. However, there is a risk that the knowledge will not be used as a direct expression of Transformation but utilised as more belief systems which will remain simply as a new thought system in the old paradigm. This does not transform the eternal condition. In the past it has been introduced, disseminated, and taught through words and symbols, which is comprehended through the individual’s present State of Consciousness and filtered through the individual’s belief systems. Transformation learning is a possibility of comprehension by the limited mind however the actual experience is far greater than the methods used in teaching and describing it. Facilitators of Transformation within the GBA FDP Program learn that it is not comprehension of the material of knowledge, it is the direct internal knowing of the experience of the knowledge. Facilitators of Transformation do not deliver intellectual concepts, they present the knowledge in such a way that the actual experience of the knowledge is taking place. This can be measured by the profound silence that comes intermittently throughout the process. GBA FDP Phase 4 assists the participants of the GBA FDP Program to move to a place where they are able to hold the Field of this ability. Further knowledge and experience is given in regard to the necessary factors that will enable them to hold this new ability. Facilitators practice delivering the core GBA modules. They work in small constantly changing groups where individuals deliver modules to their colleagues who take on the role of course participants. This is a very dynamic process for the Deliverer of the Knowledge of Transformation and the Receiver of the Knowledge of Transformation. At every stage of this specific Delivery/Receiver experience, participants work with a Senior Facilitator with several years’ experience having worked with the modules in a variety of situations. Skilful mentoring and feedback is constant throughout this process. The Deliverer role gives colleagues the opportunity to assess levels of competency of the delivery and ownership of the knowledge, and the engendering of the internal experience of the knowledge. This experience of Delivering and Receiving the core transformation modules allows the new Facilitators to become subtly aware of the internal energy shifts that are internal to participants as they go through a transformation process. It is the internal energy response that leads to the realisations that create a Transformed State of Being. This moves the new Facilitator of Transformation into a place Unconscious Excellence. “The Master Facilitator activates the Becoming beyond all thought. The course content at this Completion Stage of the GBA FDP has as its focus the Professional Accreditation of the 18 core GBA modules that can be used within the GBA Foundation Program. Facilitators are called upon to demonstrate ownership of the knowledge of each module, skill in delivery, and the ability to hold the “Field of Transformation”, and also, “The Essence of Transformation”, as they facilitate all the modules. In addition there are 9 further areas of study in this Phase. Transformation resonates far beyond the level of words, facts and concepts. It is the energy that the Soul with Silent Voice cries out for. Transformation transcends time and space. Transformation is a moment by moment experience where the Soul remembers, the Mind cognises, and – the And within the And – co-creates with Infinite Mind, awakening the possibility of Emergence. Transformation is the Journey of Discovery – the Living Field of all things Potential and Nothing Material. In that moment the Individual Spirit Being Human connects with the “Great Mind” and this co-creation enables the individual Facilitator to truly serve the whole. This is the nature of the True Creative Act, where the Facilitator of Transformation becomes the key, to emerge the Future into Form. It is a True Calling Forth. Without the Facilitation of Transformation, this planet will always be a battlefield of Consciousness. Thank you all for taking the time to read through the Story of the Facilitator Development Program. We trust that the description of the Program encourages you to consider the possibility of becoming a GBA Facilitator of Transformation. With respect for who you are and who you have become and continue to become. All phases are conducted in residence at a location to be advised. Phase 1 – 5 days, presented by Gita Bellin, supported by Senior Facilitators. Phase 2 – 5 days, presented by Gita Bellin, supported by Senior Facilitators. Phase 3 – 5 days, presented by Gita Bellin and Karen Muller, supported by Senior Facilitators. Phase 4 – 5 days, presented by Gita Bellin, supported by Senior Facilitators. Pre-work study is provided as preparation for each Phase. In between each phase participants are given various assignments. Commitment to the Program requires participants to attend all phases and complete all pre-work study and assignments. Overall, the Facilitator Development Program (FDP) exceeded my expectations by many miles. I did know to expect something special because, just when I think Gita could not possibly come out with any more gems, especially after one of the many inspirational pieces I have experienced, she hits us with something even more profound. The FDP gave new meaning to the words ‘accelerated development’. I felt like there was years of knowledge and learning packed into a nine-month journey, and although it was extremely challenging, in the end it was just perfect. For me, I have never experienced this level of self-reflection, insights and perturbation. The willingness of Gita to keep pushing and pressing to uncover the finer distinctions that make me who I am was at times confronting. However, I can unequivocally say that it is this very guidance that has taken me to new levels of personal enlightenment that I never thought possible before. The reason I could endure the tough times because I know Gita comes from a place of pure love and compassion, and there is not a thing she would not do to assist my journey. In terms of what I can now take away and build on, I cannot put a price on it. The experience has undoubtedly clarified my life purpose and meaning. From this point on, I will now look to explore those deep places of myself in order to continually learn and grow. My ultimate goal is to bring connection to the world. This has undoubtedly been the most rewarding nine months of my life to date. The FDP also enabled me to more clearly see the bigger picture. At the first level of the course, transformation is about transforming the lives of every person who is part of the [company name] family – with the natural flow-on being the transformation of [company name] into something awesome. I hold firm in my mind’s eye what it will be like to work at a transformed [company name] – one where people can be who they truly are, where people treat each other with respect and dignity, one where we all feel stretched and valued at the same time. Although there are nine of my friends on this path, I can truly say that Gita’s focussed attention feels like you are getting one-on-one mentoring and guidance; her wisdom is endless. This is one of the most important steps on my journey and although I wish there could have been more time with Gita, I see the time afforded as perfection. I entered the FDP from an interesting place, having participated in previously conducted McKinsey facilitator training and then subsequent to the training, having co-facilitated on several workshops. The current course was much more comprehensive however – and I found that my knowledge and understanding of the material and philosophical basis of transformation significantly enhanced. This course enabled me to understand the purpose and meaning behind the entire process – this is a valuable gift indeed. Being part of the shift in consciousness of the planet gives me a great sense of purpose and meaning. It has given a whole new spin and meaning to the work we are embarking on. It is not just [company name], and we are relieving the pains of humanity. I can still recall the day I realised this – this truly shifted my root perspective! Having this knowledge makes each workshop very special and I know I will treat them as such. I am very proud and feel privileged to be involved in such an amazing experience. The key lessons for me have been around my beingness, that we are part of a great shift in consciousness on the planet and knowing that I am a spiritual being. All the people around me have seen the effect of the training as well. My partner, family, friends and work colleagues continually comment on my personal transformation and want to know why and how. The FDP gave a bigger picture for me that has now been reinforced. It is not just about transforming [company name] – it is equally about the on-going transformation of our community, our families, our friends, our customers, and in fact, all human beings to create a higher state of consciousness – both nationally and globally, where fear does not motivate our behaviour. [Company name] is at the forefront of something very special. As a facilitator of transformation, ‘the process’ involved us being intimately connected and a part of the transformation experience. So, on the one hand, while we were learning about transformation, we were in fact being transformed at the same time. Overall, I found the course to be exciting, challenging, stretching, frustrating and a tremendous growth opportunity (sometimes all at the same time!). The FDP has renewed and strengthened my desire and passion to spread this work throughout [company name] to enable us to continue the process of becoming an exceptional and distinctive company without equal (globally) – for the way we are in terms of our performance and our culture. The GBA Facilitation Team has shown itself to be a group of awesome people whose passion, energy, talent and commitment will continue to help in the co-creation of a transformed world within Companies, communities and society as a whole. I have been extremely pleased with my personal/professional growth, how my internal reality has shifted so much from great fear to confidence and openness. While I see there are many more growth cycles to go through, I feel the shift in the last 9 months has given me the courage and confidence to continue this path. The growth to date has come with a few days of challenges but it has been very worthwhile and valuable. I can now clearly feel and see the difference in my effectiveness as a facilitator of transformation. The main differences I now feel include: no more fear about being heard; knowing how much value I can add by being myself through the uniqueness of me; joy of being with participants. One wonderful realisation for me has been around the difference between spirituality and religion, and that I am (and always have been) a spiritual being. I had not had a strong association with any particular religion, and had been somewhat disillusioned by some – and thought I was not spiritual. I now realise I have been spiritual as I have always placed great importance on values such as treating each other as people, integrity and acceptance. I feel much more comfortable about being a spiritual human being.